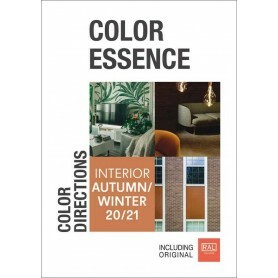 The trend color Books with shade cards for women’s, men’s, children’s, sportswear and interior give complete information on the upcoming color moods of the season and the key for early individual colour concepts. Each color card introduces 4 to 5 trend themes illustrated by original Cotton Swatch Cards (stripes) from the PANTONE Textile Color (TCX) (for Fashion and Home), and described by inspiring mood boards with brief and concise commentaries in English language. Color Essence Fabric Cards 4.90 out of 5 based on 2215 user ratings.